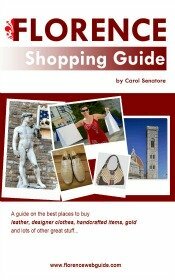 Gluten free restaurants in Florence are becoming more and more common. 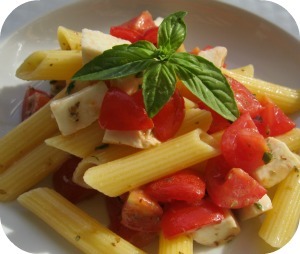 Some restaurants offer a small selection of gluten-free appetizers, pasta and main courses to their standard menu. Others have a much wider choice and offer a full no-gluten menu including desserts. 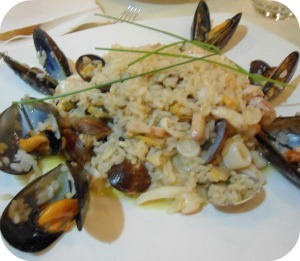 Restaurants with gluten-free dishes will have a notice on the door with the letters 'AIC' which stands for the Italian Association of Celiac Disease (Associazione Italiana Celiachia). 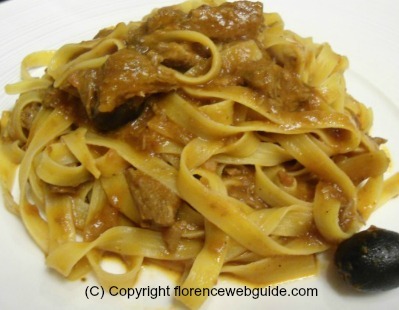 Read some recommendations below for popular gluten free restaurants in Florence. If you need to eat no gluten Il Desco is a dream. Gluten free bread and crackers, pasta, side dishes AND cakes and cookies! As a nice touch, they start you off with a glass of sparkling wine on the house and a lovely bread basket (the g.f. bread is made in loco). 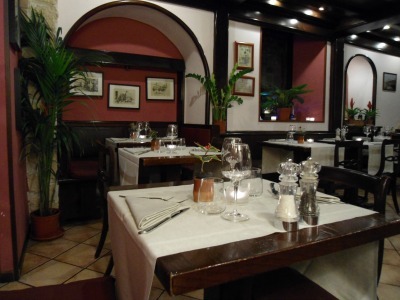 The menu has a very large selection focusing on Florentine specialities but also offers large salads, vegetarian dishes and a children's menu (€10). 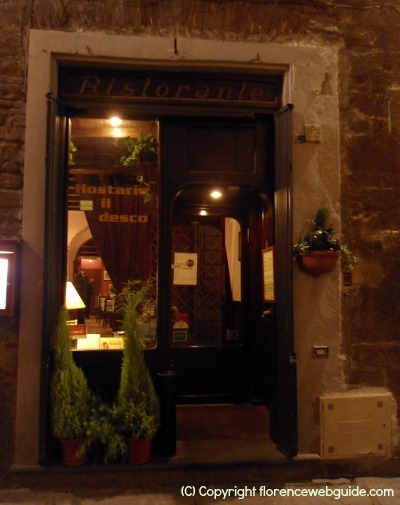 Il Desco prides itself on being one of the most popular gluten free restaurants in Florence and special attention is paid that there is no cross-contamination in the kitchen. 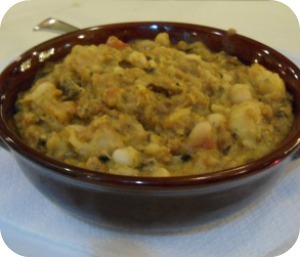 The food here is hearty and rich: soups are thick and chunky and pasta sauce is full of meat. When the place fills up on busy nights the service can be a bit slow so either go early or make sure you're not in a rush! 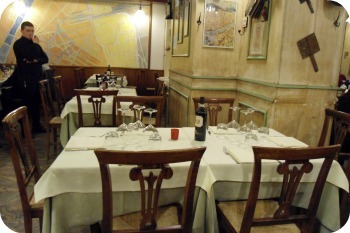 If you go to Il Portale in the evening most of the diners will be tourists and you might think that it isn't a very authentic Florence restaurant. But if you go between 12 and 2 in the afternoon, the place is full of locals who go there regularly for lunch! These 'two faces' of Il Portale can be accounted for by its position: it's right downtown in front of the train station where there are many banks, offices, shops and so on, so during the day all the Florentine workers are around. In the evening however it's mostly the people from the many hotels nearby who are in this area for a meal. For having such a vast menu, Il Portale does a good job with the food too, managing to make good pizzas and pasta but also more refined fish and meat dishes. Since the restaurant doesn't really specialize in one thing, they have no forte or particular dish to recommend. 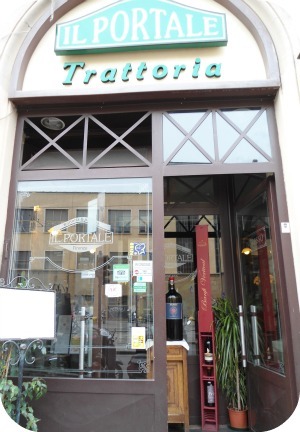 You probably won't find any unique recipes here, but if you're looking for generous portions of standard fare - gluten free and not - and a convenient location too, Il Portale is a great option.